On this day in 1546, Tycho Brahe was born. Like countless sky-watchers before him, Tycho was an astrologer. He was born in a world before telescopes, where the stars were thought to be fixed an eternal, making their daily motion (along with the Sun, Moon and planets) about a divinely fixed Earth. But more than other astrologers, Brahe believed in evidence and precise measurements to map the heavens. He famously used a large quadrant built against a north-south aligned walls in order to make precise measurements of stellar positions. With this he made the most precise planetary measurements of his day. Tycho’s data was used by his successor, Johannes Kepler, to create the Rudolphine Tables. In November of 1572, Wolfgang Schuler observed a new star in the constellation of Cassiopeia. A few days later, it was observed by Tycho Brahe, who began taking careful observations of this visiting star, which came to be known as Tycho’s supernova. By the time Tycho observed the star, it was about as bright as Jupiter. 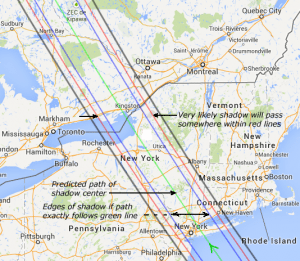 Eventually it reached a brightness rivaling Venus before gradually fading from view over the next year and a half. This led Tycho to believe that the heavens weren’t fixed an immutable. In 1577 a large and bright comet was observed across Europe, and Tycho Brahe used parallax observations to demonstrate that the comet was outside the orbit of the Moon, likely more than three times the lunar distance. This clearly showed comets were not a product of Earth’s atmosphere, as was long thought. 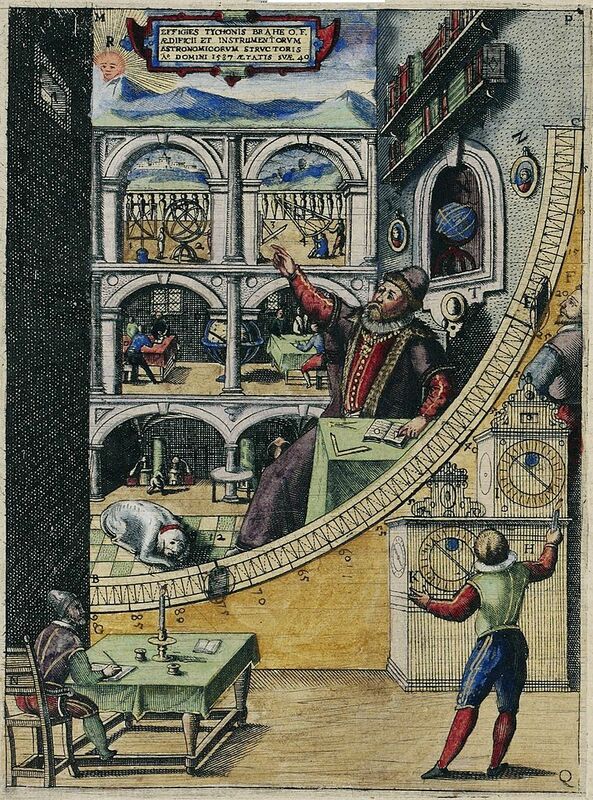 With his astronomical tables, Tycho also proposed a new model of the solar system. Rather than having the planets move around the Earth, Tycho’s model proposed that they moved around the Sun. The Earth was still fixed in his model, but it was a step toward heliocentrism. One advantage of Tycho’s model was that it reduced the need for epicycles to explain the retrograde motion of planets. By the end of his life, the stars weren’t fixed an unchanging, the planets moved around the Sun, and observational evidence was the way to determine what was true and what was not. So while Tycho Brahe was an astrologer, he was perhaps the last astrologer and the first astronomer. Love these historical essays Brian!